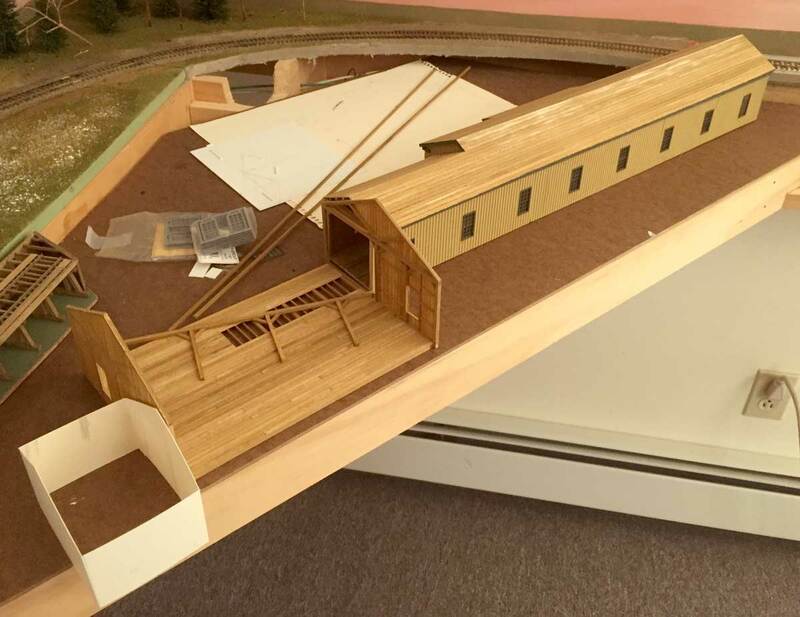 Michael Hohn has temporarily placed these three structures on his layout to see how a larger complex would appear. All are based on photos and a bit of conjecture. The left-most one represents a yeast factory, the second is a plow factory, and the building to the far right is the start of a malt house or brewery. In May, I returned to Morgantown, WV, to celebrate with my daughter and daughter-in-law as they received degrees from West Virginia University. Before hitting the road, I contacted Michael Hohn to coordinate a visit. Michael and I have been long time members of the Mon Valley Railroad Historical Society, and we have bounced home layout ideas around. A visit date was set up quickly. Michael’s home layout is focused on the late 1880’s in the Finger Lakes region of upstate New York. His work represents the Southern Central Railroad, which eventually became a part of the Lehigh Valley Railroad’s Auburn Division. I had not visited Michael’s layout in several years. He has made quite a bit of progress, especially in a diverse freight car fleet. The two Grand Trunk Railway cars were scratchbuilt from styrene, which has become Michael’s preferred medium for building box cars. The decals were purchased from Art Griffin along with photos of the prototype cars. Dimensions from equipment registers of the late 1800s were used to build these. The AT&SF box car is a 26-foot car built from a Trout Creek Engineering kit. 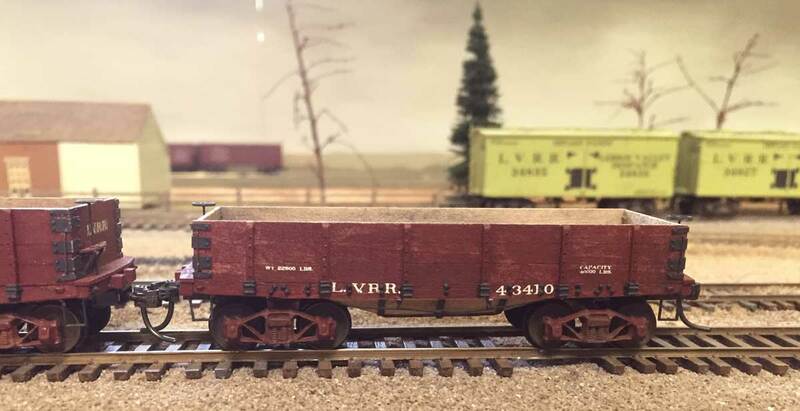 The USRS Co 28-foot box car at the left is scratchbuilt with Art Griffin decals applied. The CM&StP car 28-foot in the center is a modified B.T.S. kit for a PRR box car. Art Griffin decals were applied for the final lettering. The colorful Erie car on the right is a Canfield and McGlone resin kit. Three 28-foot box cars are seen here. The Central Vermont car at left is a modified BTS kit with Art Griffin decals applied. The CM&StP car in the center is also a modified B.T.S. kit. It began as a PRR box car. Art Griffin decals applied for the final lettering. The Chicago, Milwaukee, & St. Paul Union Line box car is an Art Griffin resin kit with decals also by Art. As you can see, the box cars of the late 1880s were far different than many of the 20th Century versions. Size, car colors, road names, and Fast Freight Lines are mostly different from box car details of the 1900-1920 years. 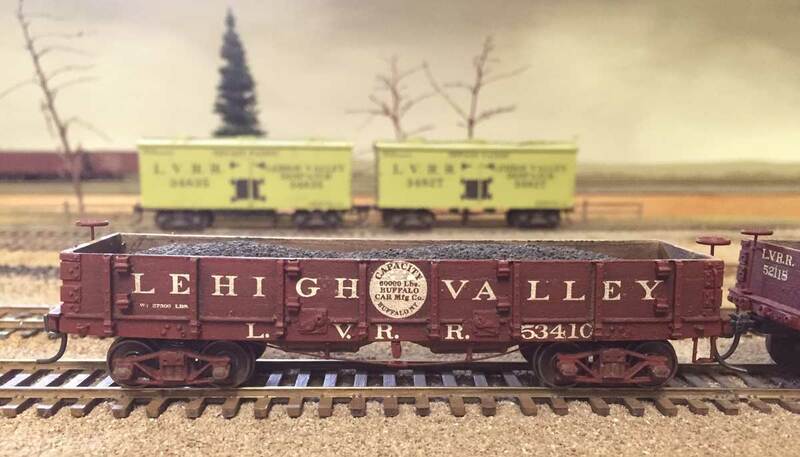 This Lehigh Valley 33-foot double hopper gondola is a Canfield and McGlone resin kit. This is one of five Lehigh Valley coal hoppers scratchbuilt from wood using plans published in an 1888 issue of the National Car Builder. Michael built versions with both three-board and four-board sides. I really like the different gondolas Mike has built. These reflect a few of the various designs that were busy hauling Anthracite coal northward to the Great Lakes. Looking down on a string of empty cars reveals several different details. Cars farthest from the camera are three of the scratchbuilt LVRR hoppers. The two cars in the foreground are modified Amesville Shops laser kits for PRR type GA drop bottom gondolas. The sides were replaced to make larger-capacity GE gondolas. Michael also enjoys building structures. He works to convey the architectural look of the region’s buildings. Mike uses an assortment of resources to plan a structure, often starting with a photo or an outline on a Sanborn Fire Insurance map. An early Philadelphia & Reading box car sits behind the depot. The car is a Canfield and McGlone resin kit. Many of the structures are simple rectangles, but have complex roof lines or other architectural details, like the building in the lead image. A main goal is to build industries that were common to the Finger Lakes region the railroad traversed. The combination of 1880s rolling stock and regional buildings announces to a visitor that the layout has a certain time and place. Michael had a new Bachmann 4-4-0 pulling a few cars along the mainline for my visit. The colorful loco looked great as it rolled along. Another loco was seen in a yard. 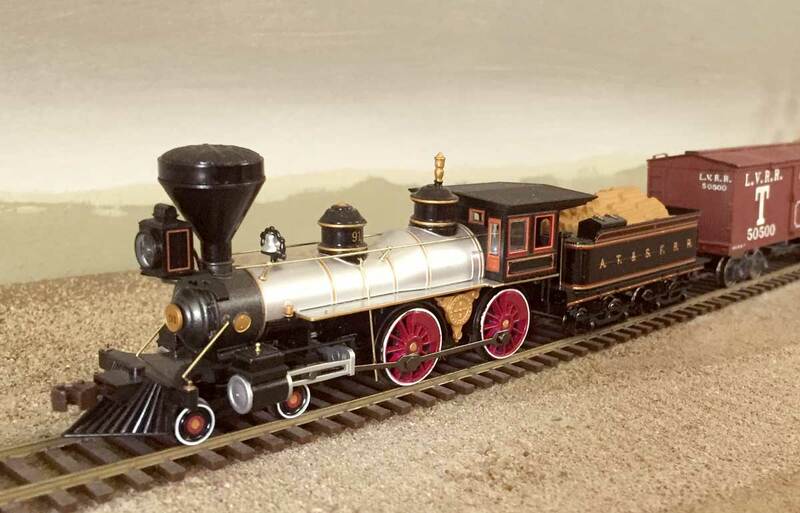 Mike used the frame, wheels, motor, and tender from a Roundhouse kit and grafted a shortened boiler from a Mantua/Tyco 4-6-0 to build a heftier freight loco. There were a few other structures set around the layout in various forms of completion. I recognized a couple in this image. On the left is a depot Mike built long ago that has the distinctive pagoda roof line of some early Finger Lakes depots. 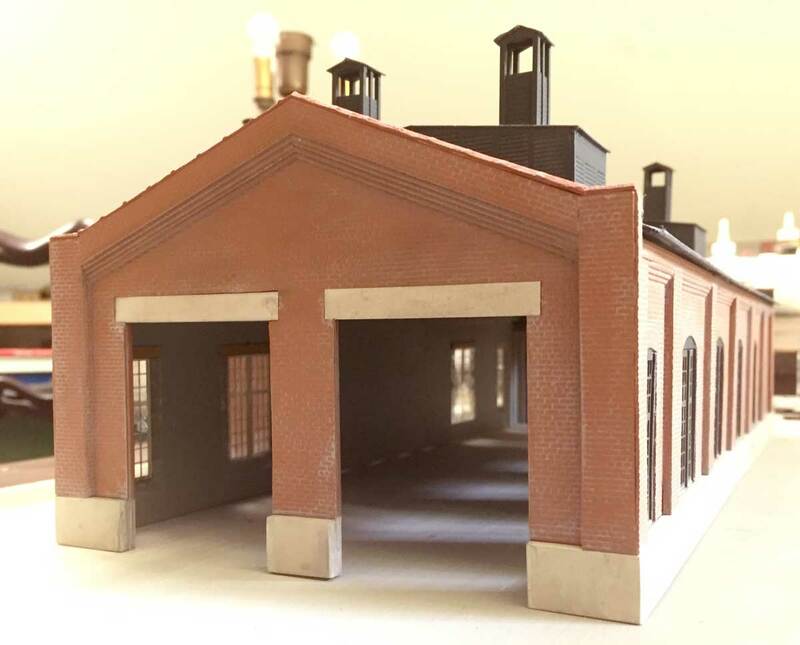 In the center is a depot inspired by a common Western Maryland Railway design. On the right is a new general store that is planned for the MVRRHS layout. This slender building is a car shop Mike has planned for his layout. He used dimensions and details from a Sanborn Fire Insurance map. No prototype photographs have come to light to help in building this model. 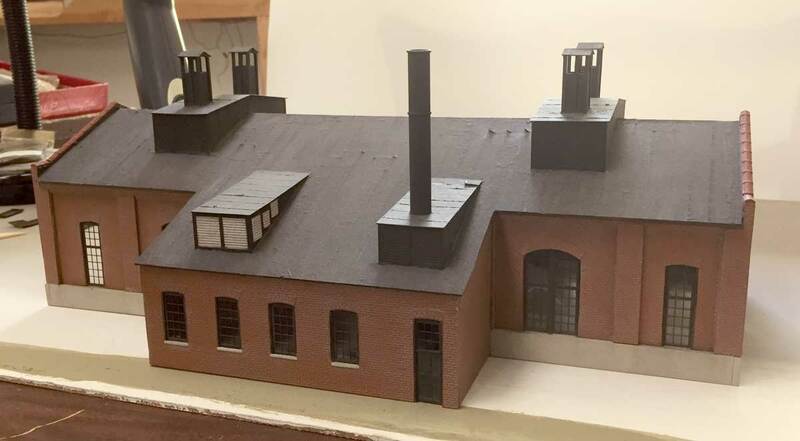 Lastly, Mike has completed building the Baltimore & Ohio Railroad engine house that was used at M&K Junction. This is an iconic structure that was once used for light maintenance of huge Mallet steam locomotives the B&O used to assist long coal trains on a difficult eastward grade. The building still stands at M&K Junction, just across the Cheat River from Rowlesburg, WV. Mike built the model to reflect a pre-1940 appearance when an addition was installed. 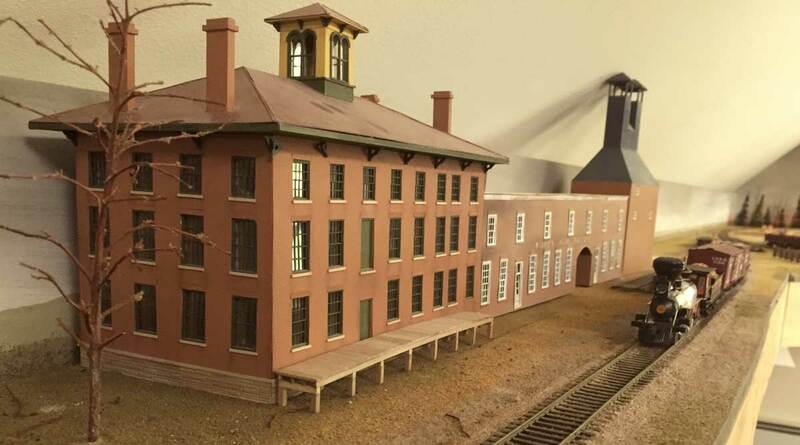 This model will be featured on a special M&K Junction display being built by the members of the Mon Valley Railroad Historical Society. It was an enjoyable couple of hours visiting with Michael and catching up on his work. I encourage readers to visit the Southern Central layout website for additional layout details. Mike mentioned some new developments coming soon. I’m sure he will detail those on his website as his layout progresses. Thank you for visiting the DesignBuildOp blog. Feel free to share a comment in the section below. Please follow the instructions so your comment can be posted. All comments are reviewed and approved before they appear. To subscribe to this blog, enter your info for a comment and check the last box to notify of new posts by email. 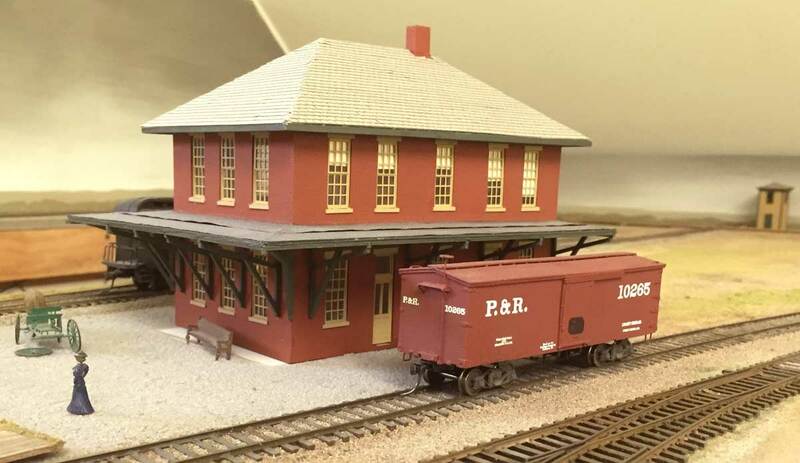 Share the blog link with other model railroaders. I saw Mike’s layout maybe 7 or 8 years ago, and it’s good to see progress, particularly the new structures.